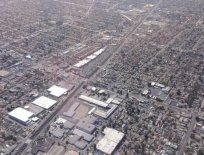 The Alameda Corridor Transportation Project was designed to streamline rail freight service between downtown Los Angeles and the Ports of Los Angeles and Long Beach. The overall Corridor is a 20-mile-long rail cargo expressway created as a series of bridges, underpasses, overpasses and street improvements that separate freight trains from street traffic and passenger trains, facilitating a more efficient transportation network. The Project was divided into three segments - North End, South End, and Mid-Corridor - which comprise 15 construction projects. 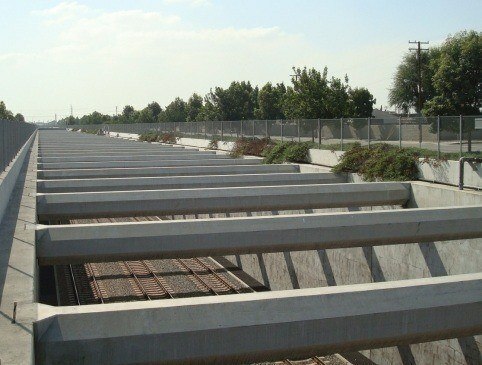 As a result of these projects, conflicts at more than 200 street-level railroad crossings were eliminated or reduced, allowing freight trains and vehicle traffic to travel independently and unimpeded. As a result, the Alameda Corridor consolidated four low-speed branch rail lines, eliminating conflicts at more than 200 at-grade crossings. 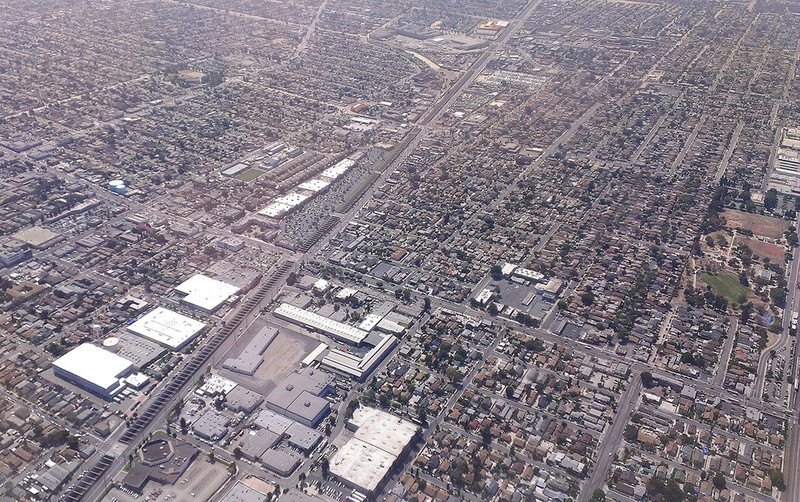 The massive Redondo Junction flyover separates passenger trains, freight trains and street traffic. Additional grade separations, eliminate traffic conflicts & improved rail connections enhance cargo flow. The Mid-Corridor Trench consists of a 10-mile-long trench, approximately 33"D x 50"W, capable of handling two tracks and a service road. 30 bridges carry vehicular traffic and rail branch lines over the trench. This $700 Million segment was completed using a design-build approach prepared by Moffatt & Nichol Engineers and awarded to The Tudor-Saliba Team. 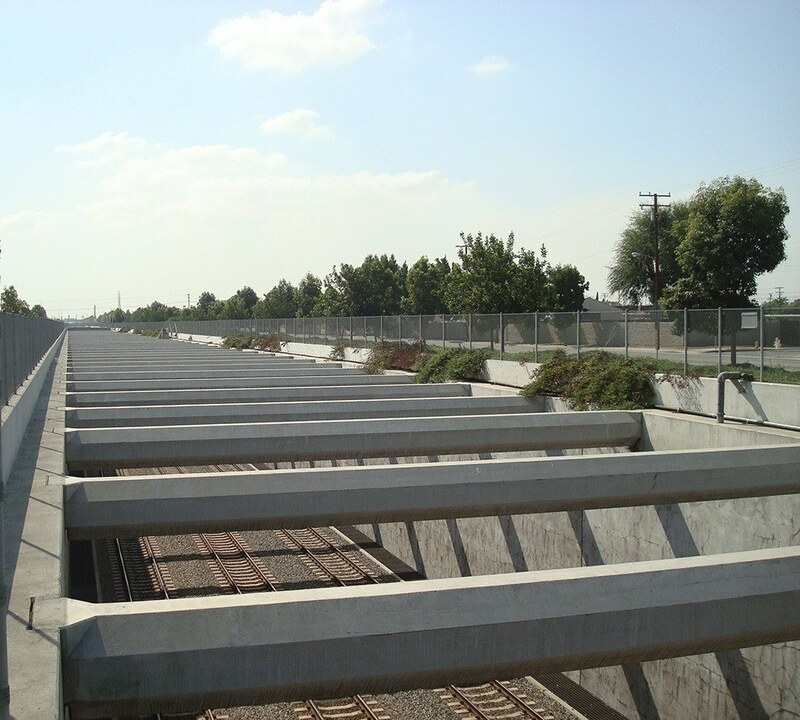 Henry Ford Avenue Grade Separation, one mile long, adds rail capacity, and eliminates conflicts with street traffic. Terminal Island Freeway ramp improvements enhance traffic flow. Multiple higher-capacity rail bridges over water channels speed port access. The North and South Ends together make up the other 10 miles of the Corridor and were built using the traditional design-bid-build (DBB) methods.